Welcome to Ferguson Superstore, your source for new and pre-owned cars in Broken Arrow, OK! Our used car dealership is a member of the Ferguson family of dealerships, which means you can be guaranteed you’ll receive the type of dedicated customer service you deserve at our dealership. We have a unique upfront, one-price pricing policy to ensure each customer who buys from us has a completely stress free experience. 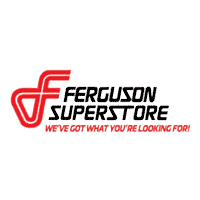 Coupled with our low interest rates and ability to finance people from all types of backgrounds, you’ll see right away why Ferguson Superstore is the place for you! We take a hometown approach to everything we do, since we’re proud of the relationships we’ve created and sustained with customers over the years. The Ferguson family of car dealerships was founded in 1974 by Tommy Ferguson, with Pontiac and GMC franchises in Norman, OK. Since the first Ferguson dealership opened its doors, we’ve grown within the community that we love and made a major name for ourselves on the famous “mile of cars.” The Ferguson family of dealerships now includes Buick, GMC, Kia and Subaru dealerships, as well as our incredible used car superstore. We created the Ferguson Superstore with our customers in mind, as we wanted to offer a unique one-stop shopping experience where people can purchase used cars from any automaker. Visit our dealership today to shop our large inventory and see our incredible prices firsthand. We’ve Got What You’re Looking For! Need Another Reason to Buy a New or Used Car from Ferguson Superstore? We proudly offer the best pricing in Green Country. Our upfront pricing approach removes stressful negotiations from the car-buying experience. The Ferguson family of dealerships has three fantastic service centers in Broken Arrow with factory-trained technicians who can take care of all your maintenance and repairs. The friendly staff at our Oklahoma used car dealership is here to help you with all your questions and concerns. Visit the Ferguson Superstore in Broken Arrow, OK, and score a great deal on your next used car!